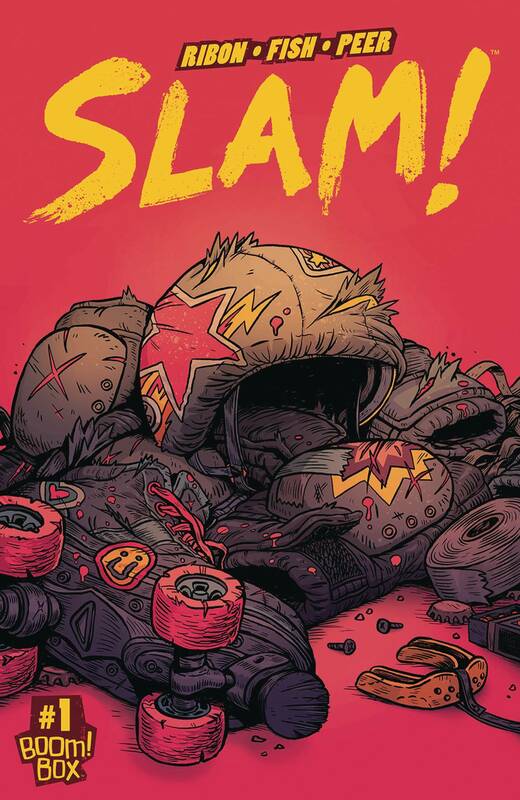 Television Without Pity's Pamela Ribon (Rick and Morty) and artist Veronica Fish (Archie) dive into the fast-paced, hard-hitting world of roller derby! Jennifer Chu and Maise Huff (aka Knockout and Ithinka Can on the track) have been best friends since their first day of Fresh Meat Orientation for the Eastside Roller Girls, but when they get drafted for two different teams they'll have to figure out if the bond between them is stronger than the pull of a team when a win is on the line. You get slammed on the track and slammed in life, and in both cases you have to take your hits and get back up again!